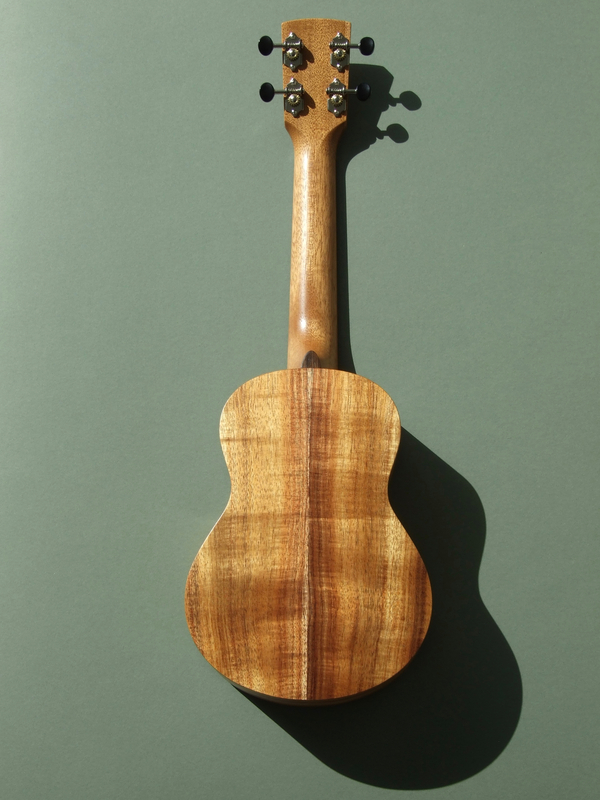 Body: Koa, matching front and back. 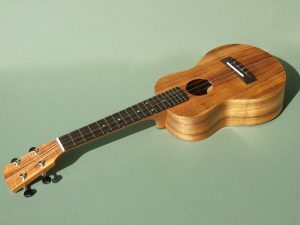 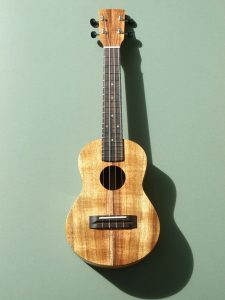 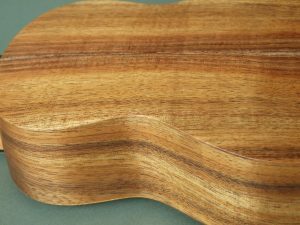 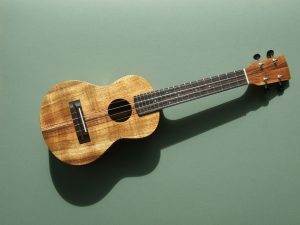 Neck: Mahogany with a book matched Koa peg-head facing. 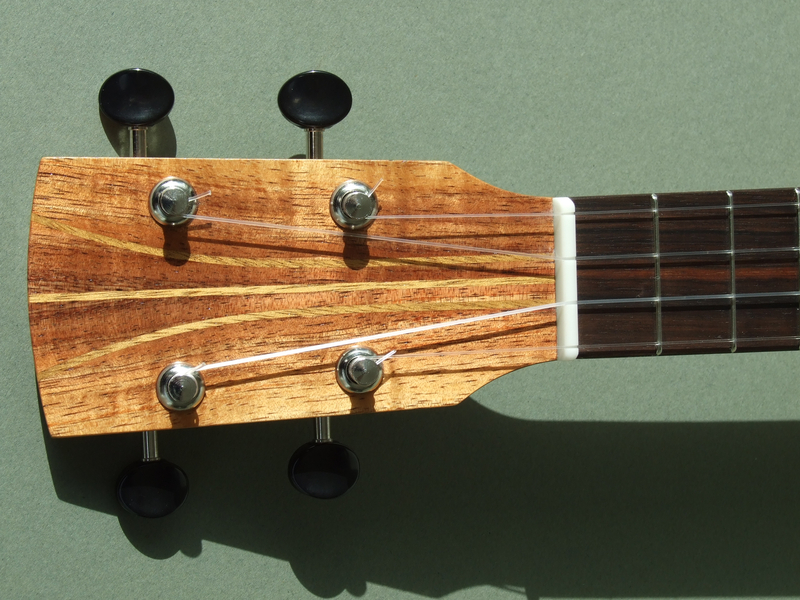 Fretboard: Macassar Ebony with abalone fret inlays, abalone side dots and a corian nut. Bridge: Macassar Ebony with a corian saddle.